Arrive at Delhi; you will be picked up from the Airport and will be transferred to the hotel, overnight stay at the hotel. After breakfast, proceed for a half day city tour of Delhi. In the afternoon depart to Agra, 210 kms from Delhi. Upon arrival, you will be transferred to the hotel; overnight stay at the hotel. Morning is at leisure. 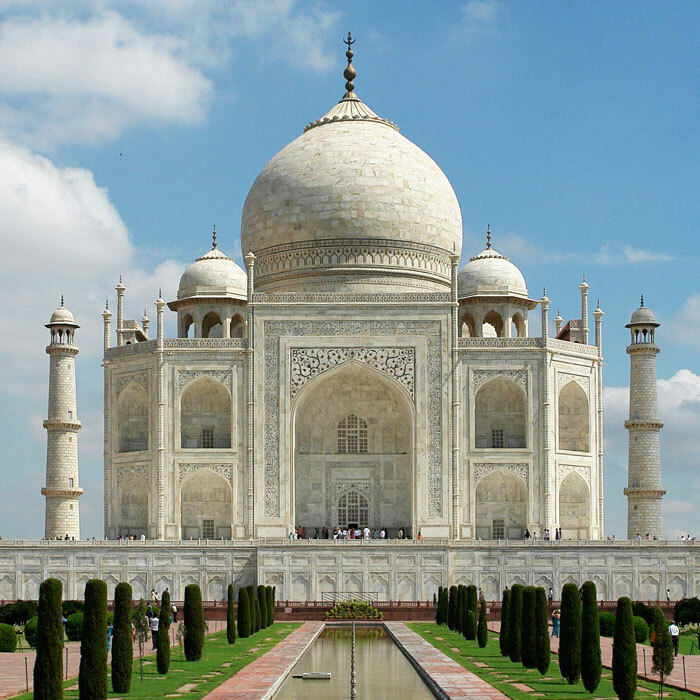 In the afternoon go on a half day sightseeing of Agra visiting Taj Mahal (Taj Mahal is closed on Fridays), Agra fort, Itmad-Ud-Doulah’s Tomb. Return to the hotel. In the morning depart to Jaipur; enroute visit Fatehpur Sikhri, a city built by Akbar. (235 kms, 6 hours plus time for sightseeing)On arrival in Jaipur, check in at the hotel, overnight at the hotel. Later in the day depart to Delhi (approx 270 kms). On arrival in Delhi you will be transferred to the airport/railway station for your onward journey.